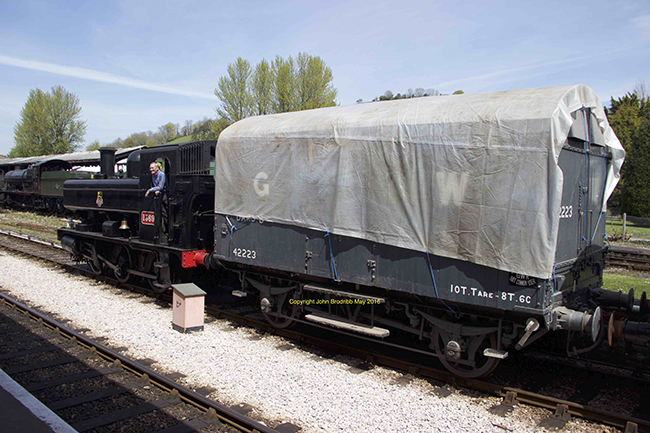 DAMO 42223 sheeted over prior to short-term storage at Buckfastleigh. 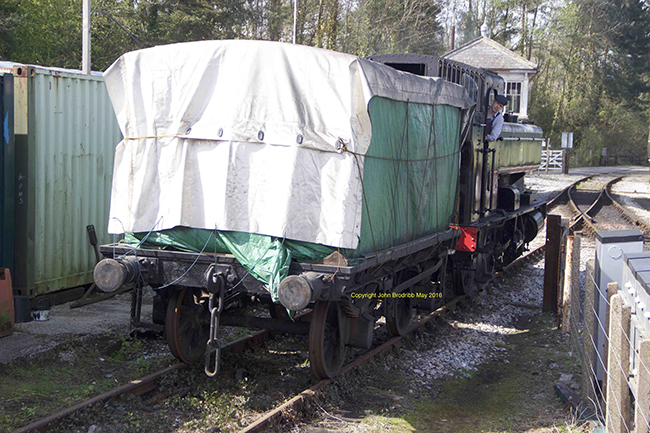 Thursday 05 May was a busy day on the South Devon Railway. The normal red service was in operation with 3205 (four trains each way), plus a photo charter (6412 and auto coach), with a mega shunt in addition. D3621 has contactor issues so the only available locomotive was 1369. 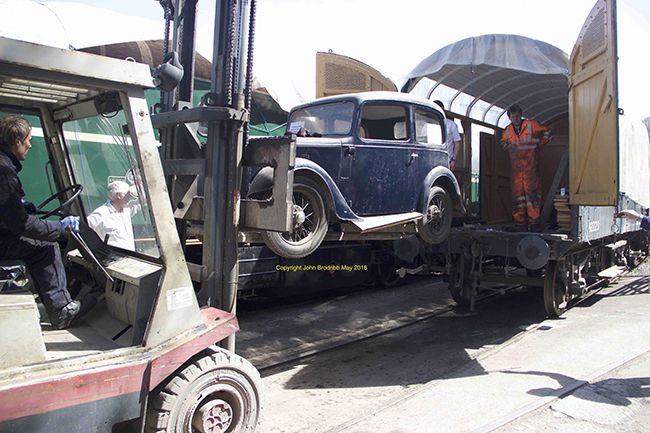 The need for the shunt was twofold: first, to remove the DAMO car carrying wagon from the museum, so that the Austin 7 inside could be returned to its owner. 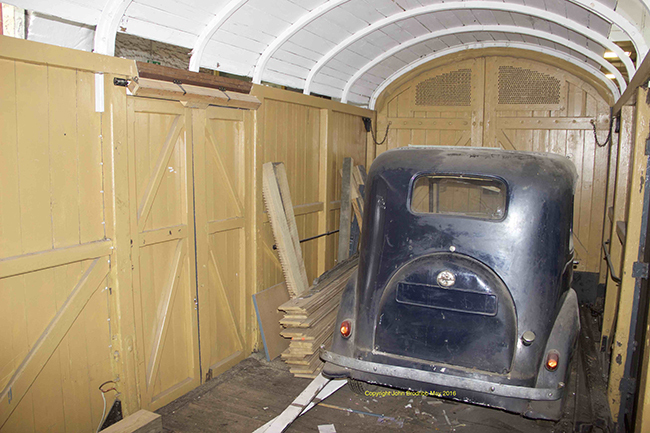 The DAMO has been replace for the time being by the Littleworth coach, which had been in store. 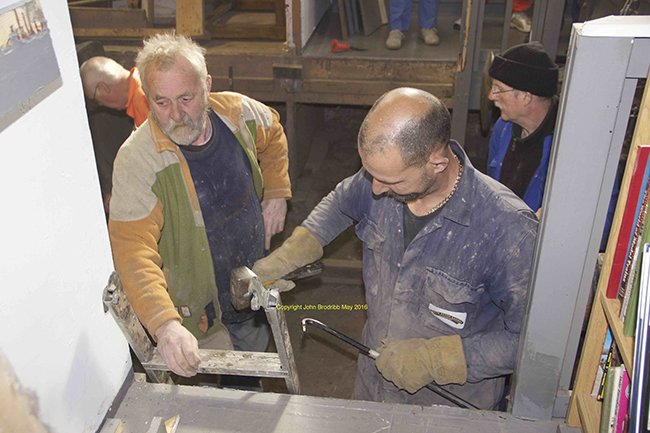 The second reason was to extract the resident Mark 1 coach from Carriage & Wagon (4785), and replace it with another, in even more urgent need of attention. 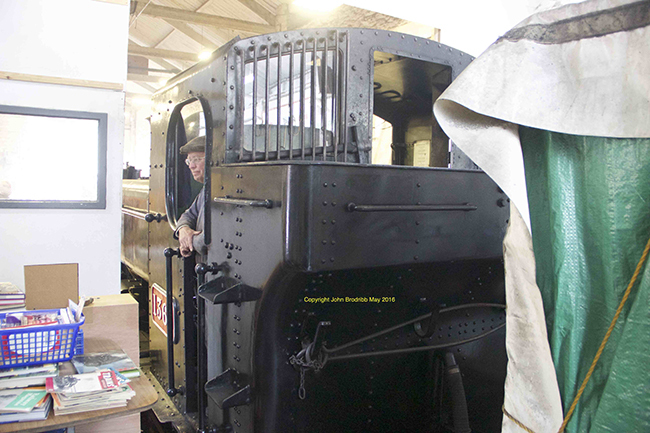 Shunting in and out of the museum and C&W is a major operation, and the attached photos show some of the day's activity. 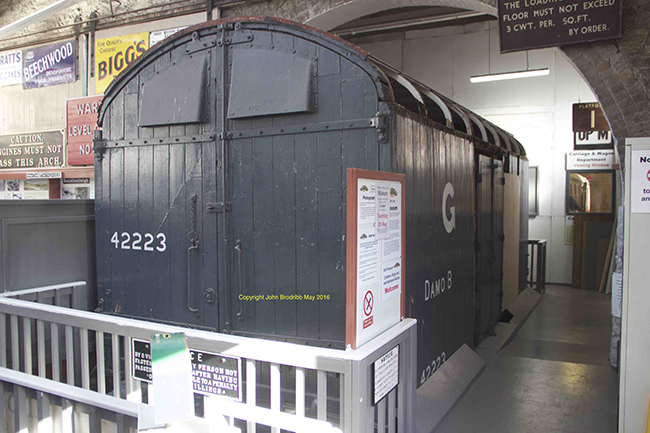 Because the move has been done while the railway is operating and the museum open, it has been necessary to close the Dark Side of the museum while access and the floor is reinstated.